This week was to feature two big-time residencies on late night TV. 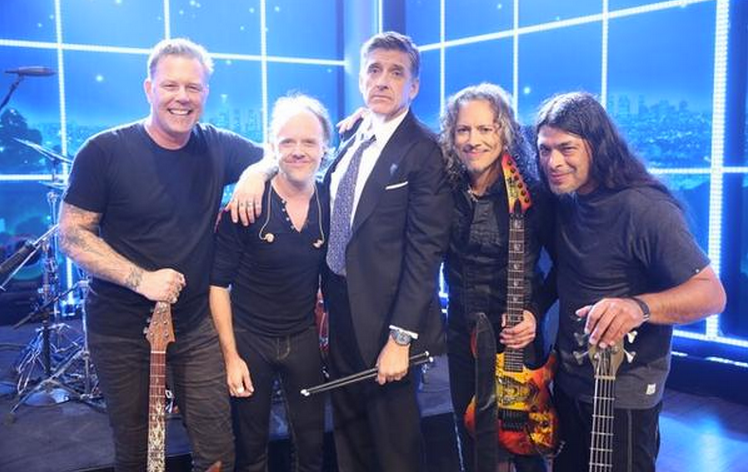 While U2 was forced to scrap its Tonight Show gig after Bono was injured in a bicycle accident, Metallica brought the fury to CBS’ Late Late Show to serenade Craig Ferguson during his final weeks as host. The legendary metal band kicked things off on Monday night by performing “Hit the Lights”, the opening track to its 1983 debut album, Kill ‘Em All. Lars Ulrich and James Hetfield also sat down with Ferguson for an interview. Replay the full performance, along with Ferguson’s monologue, below. The full episode is available to watch on CBS’ website.